Home TRAVEL Foods & Drinks What do you know about canada cuisine? With airline ticket flights to Canada, you will have opportunity to ẹnjoyed interesting things in Canada from beautiful landscapes, modern lifestyle, spectacular architecture to unique culture. Cuisine is a rich factor make abundant culture of "the land of maple leaves" - Canada cuisine is combination of rich natural resource with influences from indigenous people come from British, France, the US, as well as immigrant groups recently. The attractiveness of the famous dishes are always reason to keep traveler. 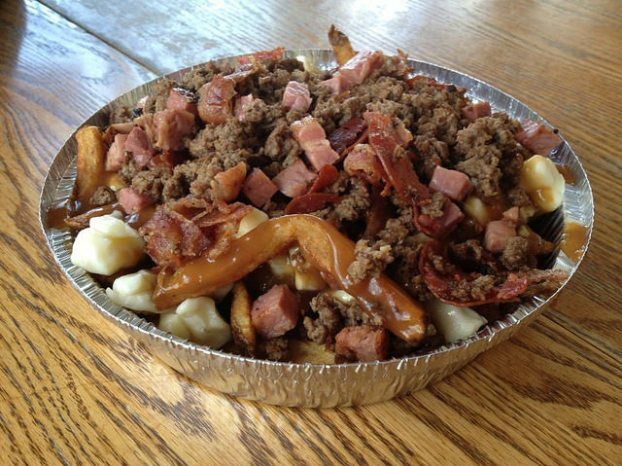 The list of dishes that are truly unique to Canada is quite short, but almost all of those dishes have their origins in Quebec, the country’s main French-speaking province. As you might expect, these dishes draw from the cuisine of France, along with influences from First Nations culture. Most of Canada’s early French settlers were fur traders and Quebecois cuisine is hearty, high-fat food that was designed to keep these settlers warm and satiated during Canada’s long, harsh winters. Poutine, easily one of Canada’s best-known dishes, exemplifies Quebec’s rich, comforting cuisine with its cheese curds and gravy. There’s also tourtière, a meat pie with a flakey crust which is filled with pork, fowl, veal, or beef. The dish is particularly popular during Christmas and New Year’s celebrations, and virtually every family and restaurant in Quebec seasons it with a different combination of spices. Pâté chinois is another much-loved dish similar to Shepherd’s Pie, but made with layers of beef, creamed corn, and mashed potatoes. On the dessert front, there’s tarte au sucre (sugar pie), which is a single-crust pie filled with brown sugar, flours, eggs, cream, and vanilla; as well as pouding chômeur (poor man’s pudding cake), made with layers of white cake batter topped with hot syrup or caramel. When I check out restaurants that describe their cuisine as Canadian, the menu almost always emphasizes meats and seafood. They can be prepared and served pretty much any way imaginable, but their use in cooking can be traced all the way back to Canada’s First Nations peoples and earliest settlers. Game meat is popular, particularly in Northern Canada, including venison, caribou, rabbit, boar, and bison. Alberta is home to one of the largest cattle herds on the continent, and the province is well-known for its juicy AAA grade beef. British Columbia is famous for its Pacific Salmon, and one of the species, Coho, is actually the symbol for some of the province’s First Nations communities. B.C. is also known for its wild spot prawns, which have a sweet flavor and firm texture. 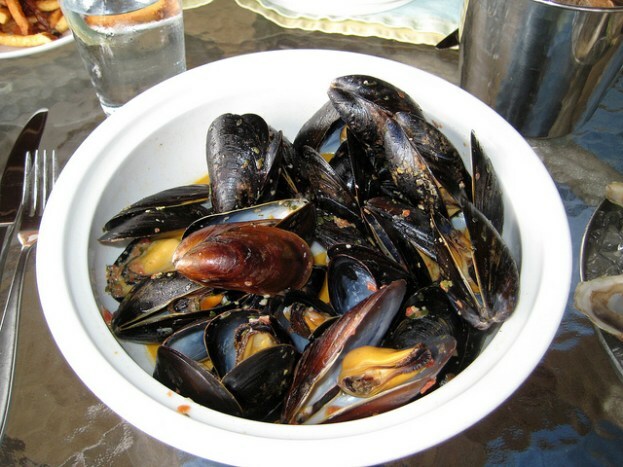 Nova Scotia is the place to go for lobster, while Prince Edward Island is famous its cultured mussels, which are grown in mesh stockings suspended in the water to produce a sweeter, tenderer consistency. One of the most obvious reasons why Canada’s cuisine is hard to define is because our country is so multicultural. Canada is often described as a land of immigrants, and therefore at its core, our cuisine is a mishmash of the cuisines of different countries from around the world. The result of all these cultures intermingling is some unique Canadian variations on dishes from other countries. 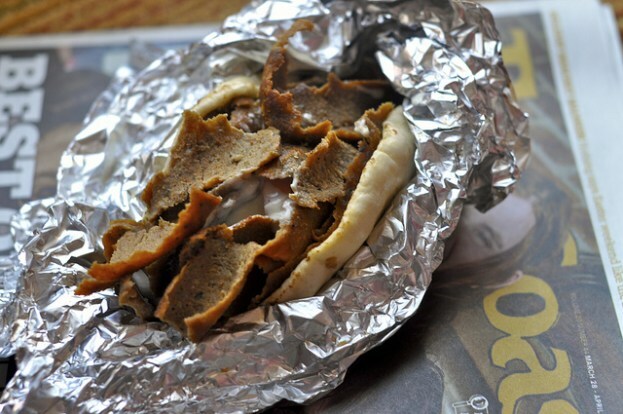 One of the most famous examples is the Nova Scotia donair, which is inspired by the Turkish doner kebab. It typically consists of spiced ground beef topped with a sweet sauce, garlic powder, raw onion, fresh tomatoes, and served in a flatbread. There’s also sushi pizza, a fried rice cake topped with raw fish, roe, and spicy mayo; as well as the East Indian roti, a variation of West Indian stuffed roti made with South Asian bread and different curries as the filling. Some food purists might despise these and other hybrid dishes as inauthentic, and while they may not stay true to the cuisine of their countries of origin, they’re distinctly Canadian in their own way.